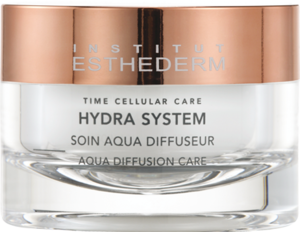 Esthederm Aqua Diffusion Care cream is one of our best sellers because it delivers constant hydration without feeling heavy. It also comes in a lighter texture for those who prefer a fluid like moisturizer. Complementary products include aqua eye cream, hydrating cleansing milk. For more information or to purchase this product.